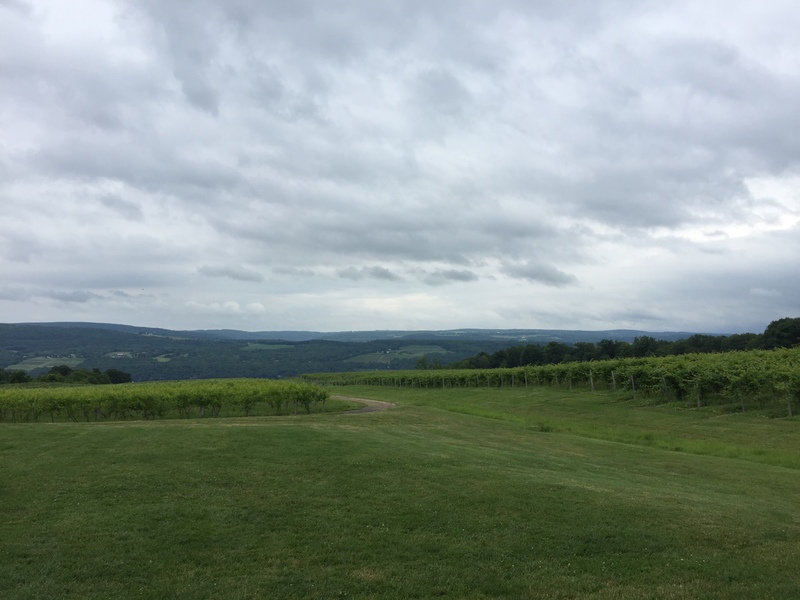 The scenic Finger Lakes region of central upstate New York was voted “Best Wine Region” by USA Today “10 Best Reader’s Choice Awards” for 2018. The region competed for reader approval with nine other U.S. wine regions over 28 days. Ranging roughly from south of Rochester in the west to southwest of Syracuse in the east, the Finger Lakes is one of the most affordable and beautiful wine country destinations in North America with three wine trails, more than 100 wineries, over 200 accommodations, and a wealth of things to see and do. Cycling and sailing are becoming increasingly popular due to the long and (mostly) flat north-south running roads on either side of the lakes, and the increasing number of wineries who now serve country award this year. Lakewood Vineyards of Schuyler Co. on west Seneca Lake in mid-summer. Some of the recommendations Lakewood has implemented include cover cropping with fast-germinating rye and mulching hay, to reduce erosion and run-off into Seneca Lake and also to retain moisture and nutrients in the soil. Lakewood Vineyards was one of the first to compost grape with horse manure for fertilizer and fix organic matter in the soil. Since 1951, the farm has grown from 52 acres to 85 acres while cutting pesticide use nearly in half. Crushing their first harvest in 1988, the Stamp family now has the third generation working in the winery and currently produces 100,000 gallons of wine. Wiemer will be joining the other Top 100 wineries to pour at the 15th Annual Top 100 tasting event on Tuesday, October 9th in San Francisco. “We are happy to be in such great company and to be representing New York State and the Finger Lakes Region!” says Wiemer co-owner, Oskar Bynke.